Dashboard widget for browsing Google Images. Is there a better alternative to ImagesForever? Is ImagesForever really the best app in Audio category? Will ImagesForever work good on macOS 10.13.4? 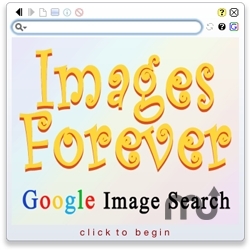 ImagesForever provides a browser-like interface to Google's Image Search. Enter terms in the search box or click the Random Word button. ImagesForever queries Google Image Search, selects a random image from the results, and displays the original image from the source website along with the number of matches. This is a great way to find images and sites you might otherwise never discover. This maintenance release accounts for the January 2012 Google Image search update. Note that if you're running OS X 10.7 Lion, ImageForever will change the Dashboard background rather than the desktop background - which makes a crazy kind of sense. Handles image fetching for Google's January 2012 update.